Zero Carb Interview: Tiffany Dalton | Eat Meat. Drink Water. It has been a year, as of April. Because of my hypoglycemia and inability to lose weight and keep it off. I was already eating a whole foods diet, and had attempted to eliminate processed food, grains, legumes and added sugar (essentially primal/paleo). I was having trouble sticking to it, so I explored a ketogenic version of the paleo diet. 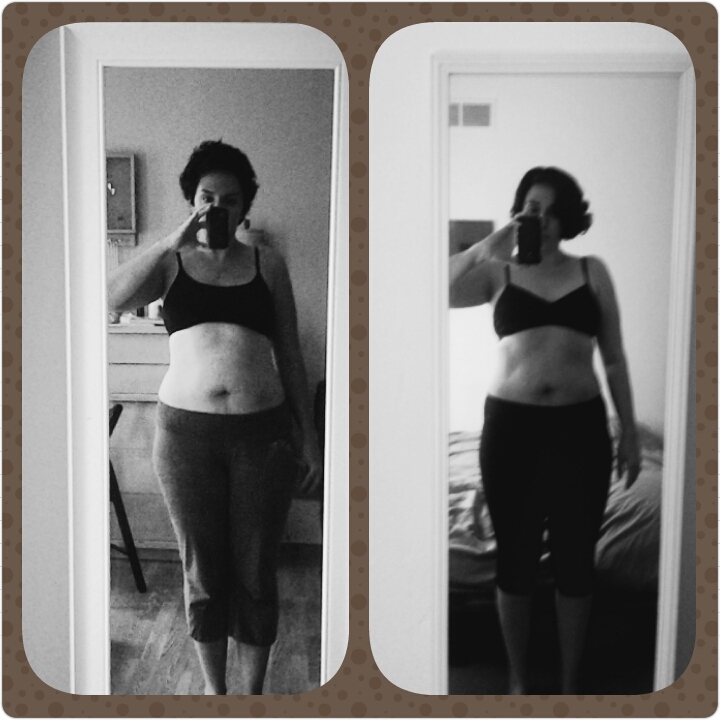 What I discovered was that the more I reduced my carbs, the better I felt. Eventually I eliminated all plant matter, and felt better than I ever had. I think the adaptation was slightly easier since I had already been eating ketogenically, but there was still an adaptation period. I would say that the worst of it was over after a month, but my energy surged even more at the three and six months marks. Originally, I learned a lot from Gary Taubes’ writings, the information shared on Zeroing in on Health by Charles Washington and others, the writings of Stefansson and the Bear. I sometimes include eggs and dairy, but overall I find that I do best without them, so I attempt to omit them as much as possible. I eat mainly beef. I would say that it’s generally 75-90% of what I eat. I occasionally eat chicken or seafood, etc. I tend to like it cooked to medium-rare. I do not generally add any extra fat to my meat. I eat intuitively, until satisfied. I enjoy chicken liver occasionally. Sometimes I try a bit of beef tongue, and I love oxtail. I really don’t consume bone broth, no. I did at first, but found it to be unnecessary and too labor intensive. I normally eat twice per day. I generally eat anywhere between 1-2 lbs. a day, depending on hunger and activity level. Sometimes it’s more, but not usually. No, I just eat regular commercially-produced meat. I prefer the taste and price of it. Grass fed is often too lean for me, and I don’t like they gamey taste it can sometimes have. I mostly drink water or mineral water. I sometimes drink herbal infusions and rarely coffee or black tea. I feel better without salt, so I do not generally add it to my food. If I am out and happen to eat something salty, I don’t worry about it. Not generally. I don’t find them to be necessary. I probably spend about $400 on my own food per month. I just look for the best prices on the meat I like. I shop at Aldi almost exclusively these days, and I buy a lot of skirt steak and 70/30 hamburger patties. Occasionally I buy ribeye if I can find it a good price. My town is getting a Costco soon, so I am contemplating getting a membership so I can save money by buying meat in uncut slabs. Up until recently I did not exercise regularly, or really at all, beyond occasional gentle walks. I have started to exercise a bit more, as my energy level seems to warrant it. In addition to walking, I do yoga, Pilates, and kettlebell workouts. I also got a road bike recently, so I have started to bicycle a bit. I no longer suffer from hypoglycemia, my immune system is strong (I rarely get sick and if I do, I recover very quickly), my digestive system operates more smoothly (no stomach cramps, gas, no need for probiotics, etc. ), my body feels strong and toned, I sleep more soundly and fall asleep more easily, my moods are calm and even, my pms is less severe. In general, I just feel much more balanced – mentally, physically, hormonally, metabolically, etc. The thing I love most is the simplicity and the fact that food is no longer something I have to concern myself with really at all. I eat when I am hungry, my food is simple to shop for and prepare, and the rest of the time I really don’t even have to think about food. I love not having to worry about what or when I will eat, for fear of an imminent blood sugar crash. I would say to just keep it very simple and stick to it. Avoid all sweet tastes and plant matter, stay hydrated (but don’t over hydrate), rest as much as possible, and trust your body to develop the right hunger signals as you continue to nourish it well and optimally. Most of my close friends support me, though some at first thought it was a little strange and even possibly dangerous. As they have seen me increase my health and well-being, they are less concerned, and some have even joined me. This entry was posted in Interviews and tagged Carnivore, Diet, Fat, Health, High Fat, Hypoglycemia, Keto-Adapted, Ketogenic Diet, Ketosis, LCHF, Low Blood Sugar, Low Carb, Meat, Nutritional Ketosis, Obesity, Paleo, Paleolithic, Primal, Weight Loss, Zero Carb by esmeelafleur. Bookmark the permalink.